Casey Anthony left her Orange County jail cell within the first 10 minutes of this day starting. With over three years spent behind bars and after going through a trial that could have seen her spend the rest of her days alive inside of a prison cell for the murder of her two-year-old daughter Caylee Anthony, Casey Anthony now has to look to her future. Casey Anthony was ruled not guilty on charges of murdering her daughter and guilty on charges of lying to police officials. However, all of the perceived evidence pointed to Anthony being guilty of the murder of the little girl. Now Anthony is a free woman. As far as the United States legal system is concerned, Anthony’s debt to society is done and she is innocent of murder. But according to public opinion, Anthony is a heartless woman who killed her own baby girl. Facebook pages have been made to show a united front against Anthony. Many pages are demanding that she stay away from their state now that she is a free woman. Furthermore, and on a more serious note, Anthony has been sent numerous death threats via the Internet and to her attorneys. Whether the resentment directed at her is large enough to drive someone to actually come after her is unclear. Attorney Steve Farese Sr. has suggested that Anthony move back to her childhood hometown (Columbus, Ohio) and even change her name. He also suggested that she be cautious about the new people she is going to bring into her life, as there might be some people who try to take advantage of her negative popularity for their own financial benefits. Some are noting the possible financial gain that a tell-all book by Anthony would garner. Nancy Grace has said publically (and with disgust) that Anthony will make over $1 million in a book deal, movie rights or interviews. In fact, Casey Anthony has already been offered a million dollar adult film deal from Vivid Entertainment CEO Steve Hirsch within two hours of the verdict. Later that day, Hirsch withdrew his offer stating that he wants nothing to do with Anthony. Clearly he does, but he also wants to keep his reputation in tact and this was a line he could not afford to cross… YET. Anthony, much like OJ Simpson, cannot be tried for the murder again. Thus, if she writes a book such as OJ Simpson’s tell-all book, she cannot be sent to prison if she reveals anything incriminating. 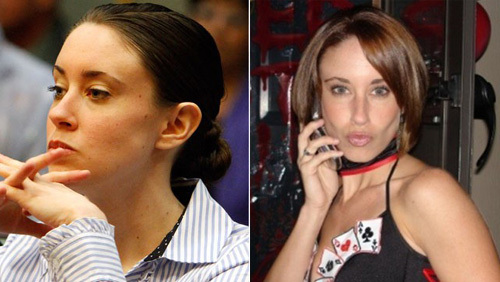 For the time being though, it is not clear where Casey Anthony is or what her next steps will be. According to Jeffrey Demmings, the Sheriff of Orange County, Anthony is not going to be provided with any security unless a reasonable threat against her life is raised. With no money to fall back on and no apparent support system, the future of Casey Anthony is definitely not looking bright.